My top, tried and tested, gift picks for the stylish little people in your life! 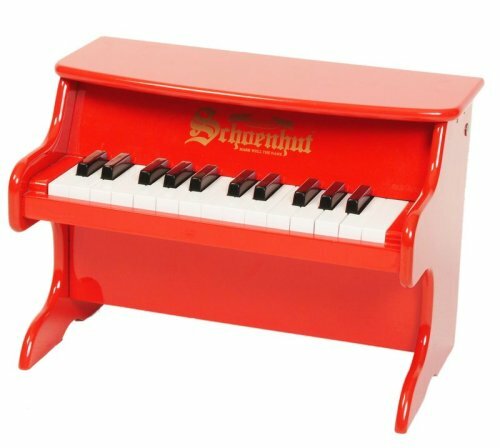 Schoenhut My First Piano: This adorable little piano comes in red or pink and is nicely tuned. It's a bit heavy so I recommend setting it against a wall or piece of furniture. My daughter was interested in playing this when she was just 2 months old and still enjoys it regularly now at 3! 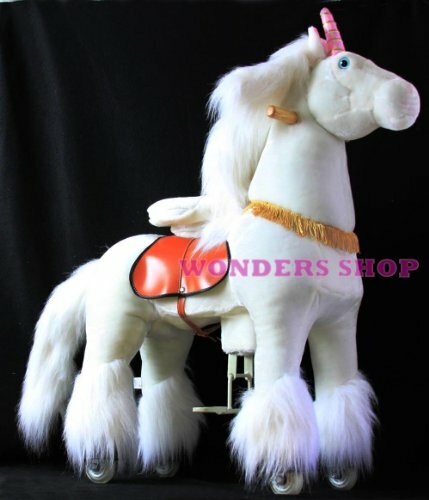 Pony Cycle Ride-On Horse or Unicorn: There are several different animal options for these ride-on toys. 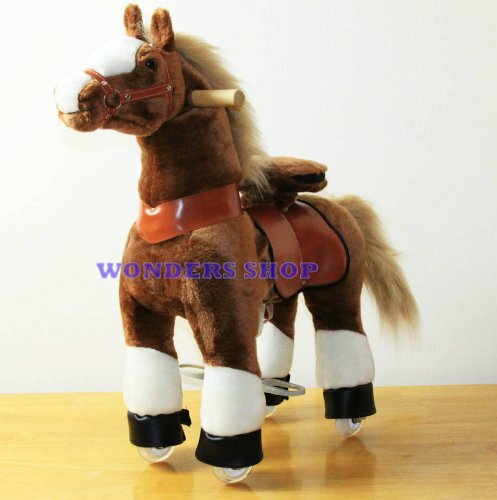 There are several horse styles, unicorn, giraffe, zebra and several others! I can't say enough about this toy. The wheels are like roller blade wheels and glide easily and safely on hardwood floors. They come in three sizes. The small is recommended for ages 3-6 (up to 66 lbs), the medium for ages 5-10 (up to 88 lbs) and the large can accommodate up to 300 lbs! We have the medium size and it's perfect for my 3 year old and I know she'll get quite a few years of play out of it! Pottery Barn Kids Whitney Play Vanity: I love the scale and simplicity of this vanity. It is well made and a beautiful piece of furniture for any little girl's room! 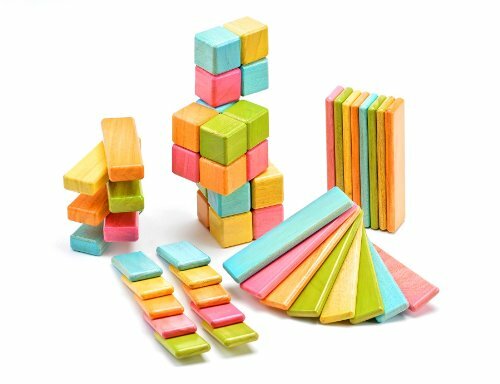 Tegu magnetic wooden blocks are ALL the rage. They earn rave reviews and have been featured in many publications and media outlets including O Magazine, Best Toy Guide, People Magazine, The TODAY show...to name a few! I have tested these out myself and they are SO much fun! You will be finding yourself playing with them just as much as your littles! Check out www.tegu.com for all of the sets, accessories and color options! We started with the Original Set and then ordered the Explorer set to get some of the larger, chunkier blocks to add to our collection. Pottery Barn Kids Anywhere Chairs are a staple for every child-- big and small! We started with the My First Anywhere Chair and then sized up to the full size chair. Lots of fabric options to choose from and they can all be personalized with child's name in a variety of fonts and thread colors! 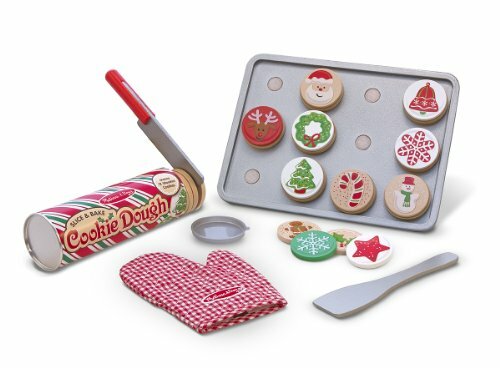 Melissa and Doug Slice and Bake Christmas Cookies: The original Melissa and Doug Slice and Bake Cookie set is one of my daughter's most favorite play food toys. In fact, I think it's safe to say that it gets played with on a daily basis. I fell in love with the Christmas cookie version that came out this year and so will you! 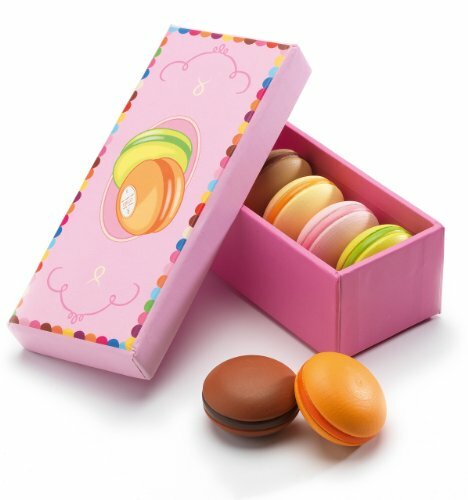 Wooden Macaroons by Djeco: If you have a little girl who loves tea parties, she will SWOON (as will you) over these little wooden play macaroons by Djeco! BigJigs Fairy Town Train Set: Wooden train sets are easy to come by, every little boy I know has one, but this one for little girls is super cute and oh so much fun! My daughter LOVES this set so much, we are buying the bigger version for Christmas this year. Pottery Barn Kids Retro Kitchen: A Play Kitchen will get hours of play time for both girls and boys alike-- especially when it's well stocked with fun and engaging play food toys and accessories. There are several nice kitchen sets on the market to fit any budget. I'm partial to wooden toys and the kitchen sets from Pottery Barn Kids are top notch and beautiful! Choose from several styles and price ranges colors include retro pink, red and white! Jetaire Camping Tent from The Land of Nod: This camper play tent from The Land of Nod caught my attention the very second I laid eyes on it. How FUN is this?!!! 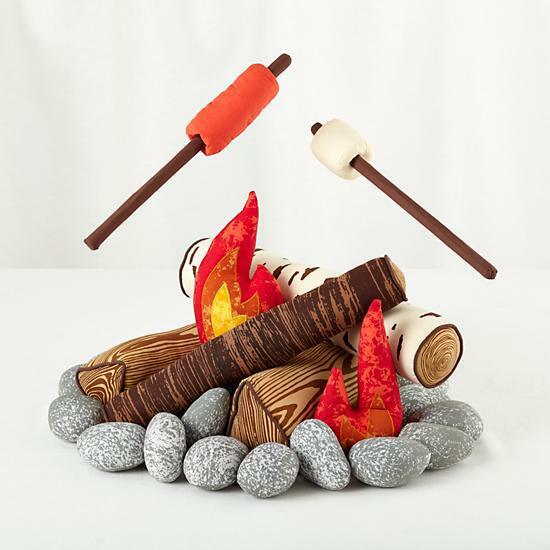 The S'more the Merrier Campfire Play Set: You can't miss the matching campfire from The Land of Nod, The S'more the Merrier campfire set! The Land of Nod, What's That Stand For: Another one of my current Land of Nod faves is the multi-functional, super imaginative What's That Stand For?!! It comes with interchangeable signs including Market, Theater, Lemonade-- from puppet shows to grocery store, the possibilities for imagination and play are endless! Mahalo Felt Masks: Take pretend play to the next level with these whimsical masks from Mahalo. I first discovered Mahalo on Etsy when I ordered a set of woodland animal masks as photo props for my daughter's first birthday. Not only were that a huge hit at her party, but she has continued to play with them regularly for the past two years since. For her third birthday, we shared the Mahalo love and handed out masks at party favors! They are very well made and can stand up to lots and LOTS of play time. Find Mahalo on Etsy! L.L. Bean Trailblazer Jr. Headlamp: I don't know what it is about kids (and men) with headlamps, but they LOVE them! Check out this girly version from L.L. Bean! 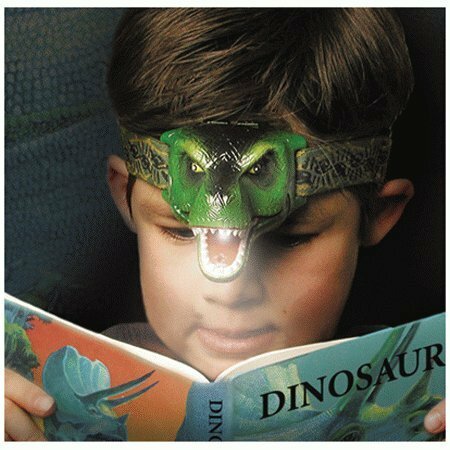 Sun Dinobryte LED Headlamp: If Dinosaurs happen to be your little's "thing" check out THIS supercool head lamp recommended by a friend! Green Toys Tool Set in Pink: Tool sets are a dime a dozen for little boys, but for a little whose life revolves around pink, this adorable set from Green Toys is a BIG winner at our house! It does come in a more gender neutral red and blue option as well! 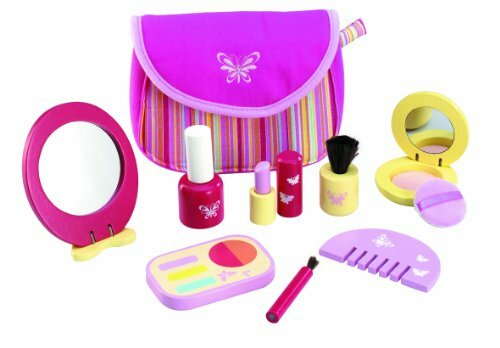 Pinky Pretend Wooden Cosmetics Set: If you have a little girl who loves makeup but you're like me and terrified of lipstick on the couch, this adorable Pinky Cosmetic Set totally fits the bill. My little one hasn't missed "real" makeup at all. This set is so much fun and is ALL her's! 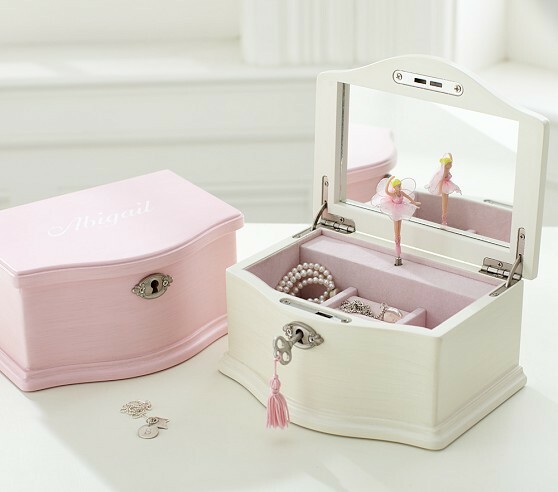 Pottery Barn Kids Abigail Jewelry Box: This year has been my daughter's first year in ballet and she is in LOVE with this adorable ballerina jewelry box she received for her birthday in October. It is the Abigain Medium Jewelry Box from Pottery Barn Kids. I love that it can be personalized with a name to make it extra special! Sing Along CD Player: Constructive Playthings (now known as CP Toys) always has a fantastic selection of great toys. Last Christmas we picked up the Sing Along CD Player for my daughter. There are several things about this machine that I really love. First it has TWO microphones. If you have siblings or lots of cousins, having two microphones is an absolute must! I also love that this CD players has a "Hold" setting on the back. When enabled, the CD won't skip and it works really well. This machine works best in an area where noise is not a consideration. While the CD player itself does have volume control, there isn't volume control on the microphones. Once you get two on there at once it can be VERY loud! So either keep it in another part of the house far from your ears or pass the wine and enjoy the show! Hape Playfully Delicious Garden Salad Play Set: Kids like to emulate what they see their parents doing...and eating. While all of the cookies, macaroons and tower of treat toys are fun and beautiful, how many of our kiddos are used to seeing their mamas eating salads the majority of the time?!! 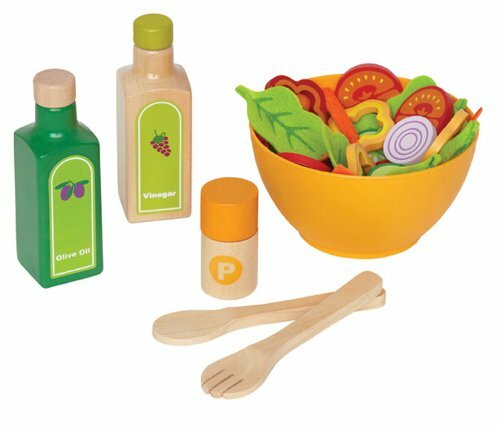 This play felt and wood salad from Hape will be a huge hit with your little! Pottery Barn Kids Shaggy Sleeping Bags: From real camping to spontaneous pretend camp outs on the Living Room floor, a super fun and personalized sleeping bag is sure to inspire lots of creativity, pretend play and cozy snuggles. We have and love the Pink Shaggy Dog Sleeping Bag from Pottery Barn Kids, but they have several new "shaggy" options to choose from this year! Pottery Barn Kids Westport Dollhouse: Dollhouses aren't just for little girls. Girls and boys alike will enjoy countless hours of miniature play. I'm especially partial to the wooden dollhouses from Pottery Barn Kids because they are so beautiful! The white is gender neutral, but beautiful enough to be a family heirloom for many, maybe years to come. This year, PBK has also added several accessory sets including a chicken coop, school house and market-- they are all on our list for Santa this year! The HugglePod Deluxe: This hanging, swinging cozy chair is en route to my house as I I type. It's one of the very few items on this list I have yet to own or have personal experience with. Judging from the reviews and research, once we get it hung, I'm fairly certain it's going to be an enormous hit at our house with my daughter and all of her cousins. Who doesn't want a swing in their play room that doubles as an ultra comfy spot to get away for some fun alone playtime?! I think I might one for myself!!! The HugglePod comes in a variety of colors and also a smaller version, the Original HugglePod that's a bit smaller! 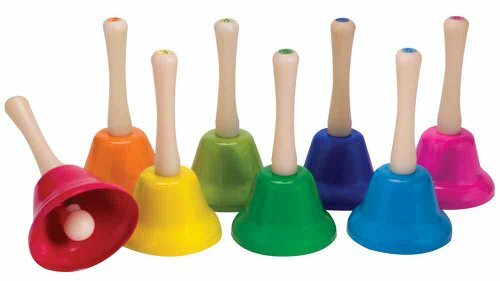 Schylling Musical Hand Bells: This is a FUN gift and a musical instrument you likely don't have in your toy bin yet. These are well tuned and if you're coordinated enough you can ring out your favorite tunes! It comes with a few music sheets of well-known songs for you to try out. I'm planning to use our's to play Christmas carols with the family this year by giving each person a bell and we'll put the songs along with their notes and colors on a large poster board that everyone can see!